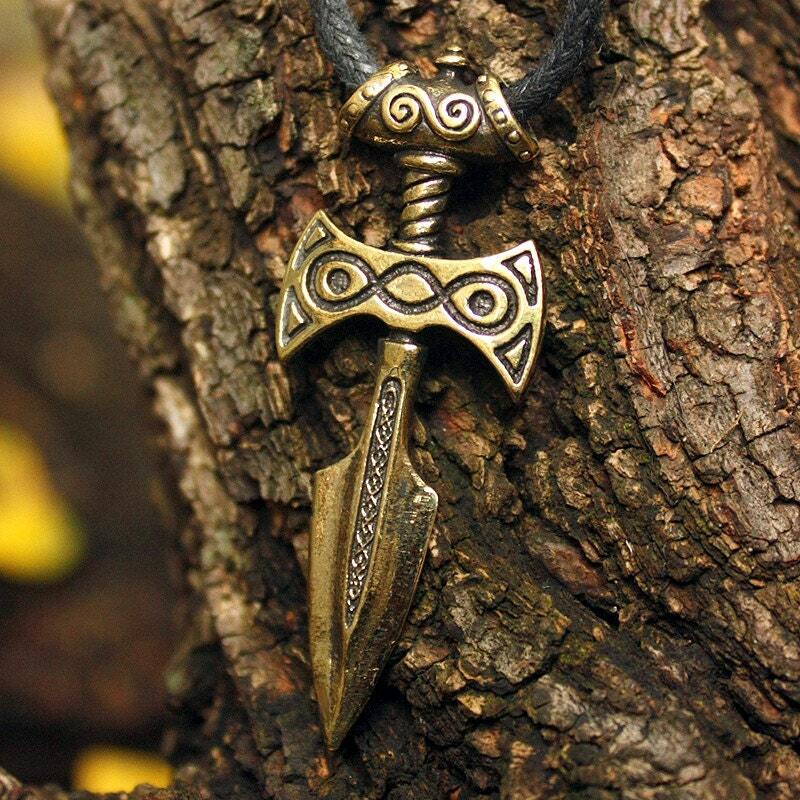 This is a real solid bronze 3-dimentional double-sided pendant inspired by the Elder Scrolls game series – the Amulet of Talos. 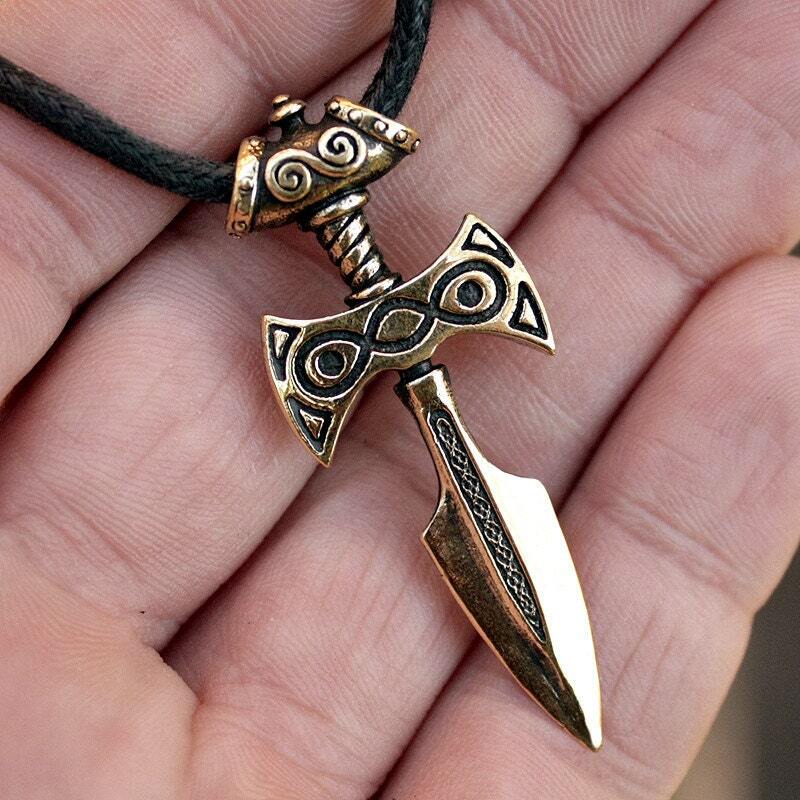 The pendant is the same on both sides. Dedicated to all fans of the game. The Elder Scrolls game series emblem for the Septim Empire which was an Empire founded by Tiber Septim that began in the Second Era. 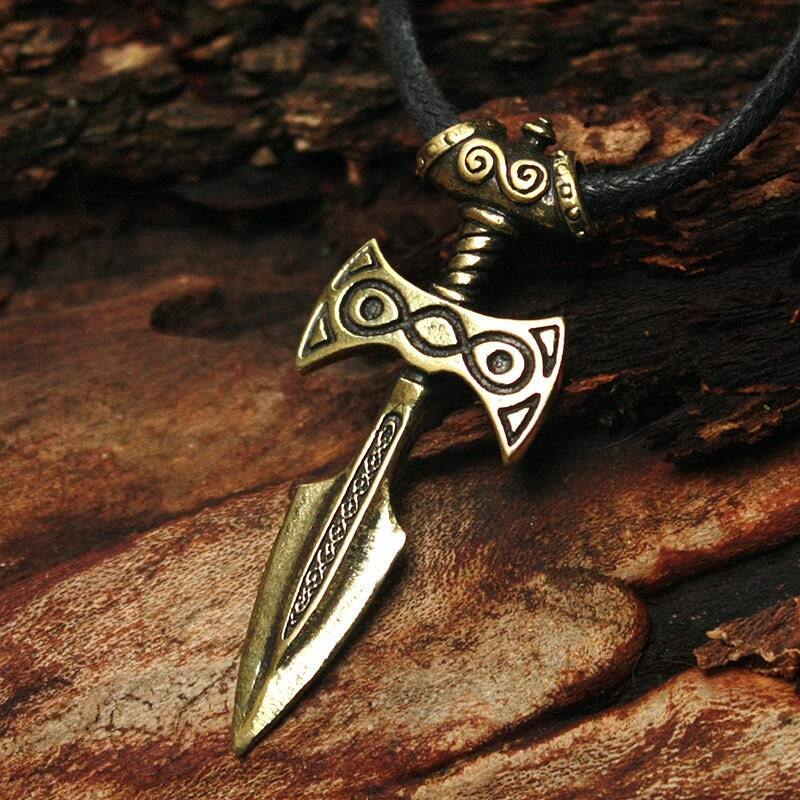 Its rulers were those of the Septim Dynasty, with its end marking the beginning of the Fourth Era. 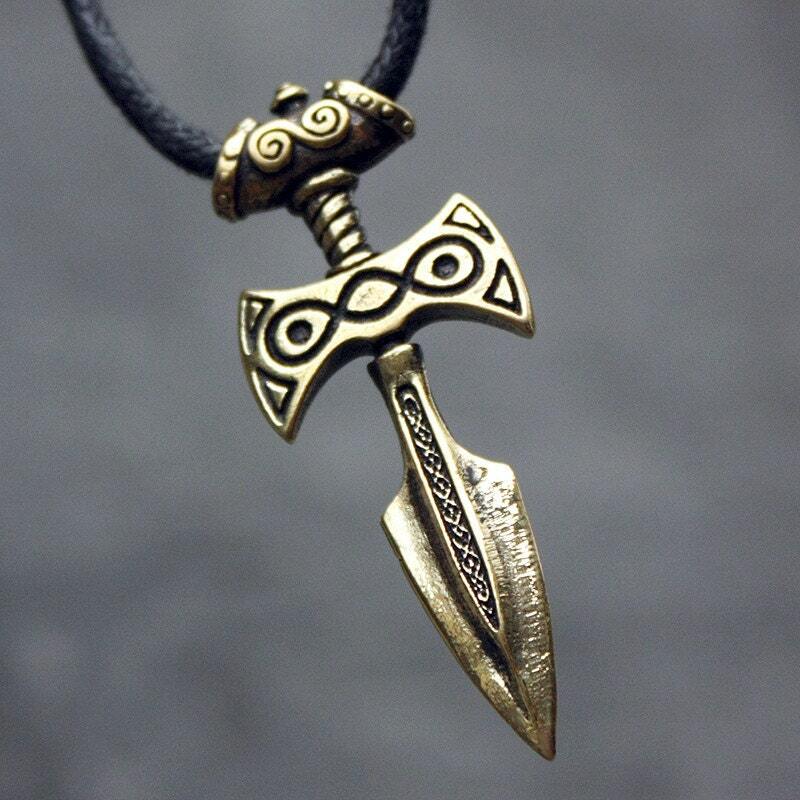 The pendant size is 1.9" by 0.75" inches (50 mm by 20 mm). It is ox finished for antique look. The pendant comes on a black fabric or waxed cotton cord. 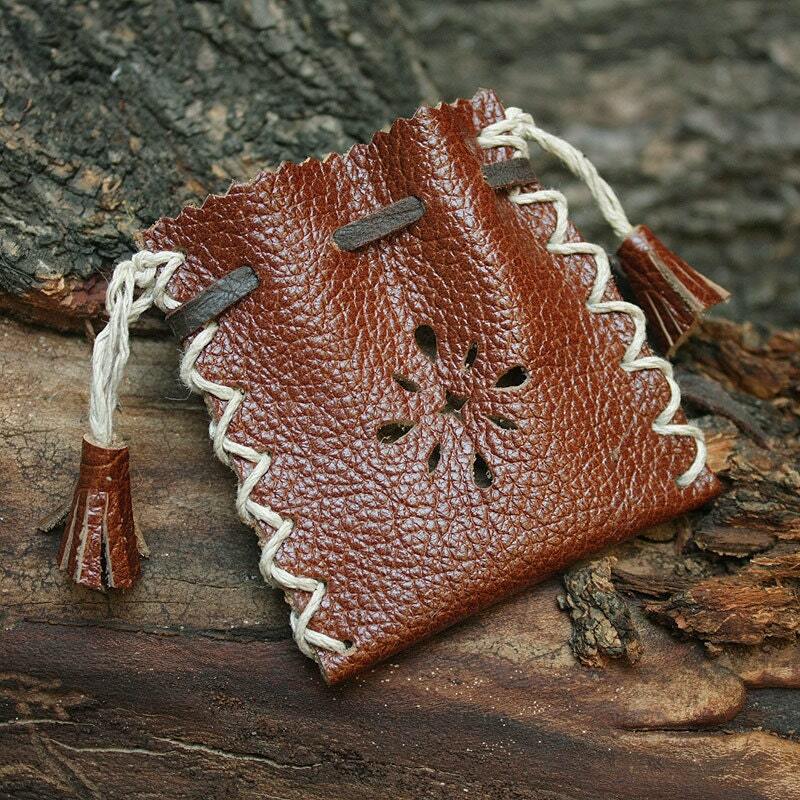 ► Optionally, you can add the genuine handmade leather pouch stitched with a natural hemp cord. It makes a nice gift case for the pendant.